2018 has been a year of fresh starts for Clare Bowen. Following a triumphant Nashville Farewell live tour and the winding up of season six, the final season, of the Music City drama, Bowen has now retired the character of Scarlett O’Connor. It’s not all doom and gloom though, there was little time to mourn the show before the release of Bowen’s self-titled debut album and full UK tour. You can read our review of the album here. You’re about to play the third night of the tour here in York. How’s it been going so far? Yeah, it’s been incredible! Last night was crazy! Birmingham was beautiful and then last night was Gateshead at The Sage. The reception has been so warm and welcoming. UK audiences are super excited but they’re also super polite, but they get really rowdy if you let them! It’s about encouraging people to be silly and get up out of their seats, they’re always, half of them are dancing! It’s funny, I’ll jump off the stage and go bouncing through like “who’s gonna dance with me? !” and they’ll all get really scared! (laughs) It’s been really really fun, everyone has been super sweet, you know, I was nervous because it’s my first UK solo tour. It must be exciting playing these kinds of venues on your first time out in the UK? I know, how lucky! I could still hardly believe it. My brother Tim took this photo this morning to send to my parents (Clare shows my a picture of her album on the shelf in HMV), stuff like that, it’s ridiculous! It must be a crazy feeling seeing your face on your CD in shops? I was going to say seeing your face on anything miles away from home but you’re probably used to that by now! Kind of used to it! It is though, my family and I have always believed that home is not a place, it’s the people and my family is spread all over the world. My husband is here, my best friend is here, my parents are in Australia, there is so much family in the US, I’m making all of these friends in the UK, my band is incredible and they’re from Germany. It’s an experience that is never lost on me, I’m so fortunate to be able to tell these stories. People hear their own stories in the music, it’s not about us, it’s about them and what we can share. There’s a lovely ‘give and give’ that happens with the audience during a live show. I had this experience the other day, this sweet lady in the audience, I’m naturally a shy person around people but I’ve learnt that you can be introvert and an extrovert at the same time! On stage I feel comfortable being an extrovert but in a crowd I’m different. I saw this lady and what grounds me is looking into each person’s face to give me a subconscious reminder that we’re all just people, we’re all the same and that’s one of the most important things about the show. This lady, I can’t remember what song it was, she kind of broke open and she did a self-conscious look to her side to see if anyone had noticed. Somebody had and I watched these two people five seats across, who hadn’t come together, I watched them break open also and start to cry. It was this beautiful moment of ‘oh, you’re a complete stranger but you get it’ and that’s the environment that I want to create because there aren’t enough of those spaces in the world, there’s this ‘us and them’ thing that has always been and seems to be magnified now. It can be a very helpless feeling not knowing what you can contribute to combat that, the way I do it is to create a space where it doesn’t matter who you are, where you’re from, what’s happened, you belong with us. It must be tough keeping composed when you’re seeing people react in such a way to such personal songs of yours? Sometimes. It’s not about me, it’s about them. Little By Little became a different thing in the UK, it began as a love letter to the world and we debuted it at the Royal Albert Hall. It was written in the UK with a UK songwriter, Amy Wadge, when we decided to release it we were supposed to be playing Manchester Arena and it just turned into more than I ever could have imagined. We dedicated it to everyone who was affected by all of the events surrounding that time period. I went and met with some first responders and survivors of both London Bridge and the Manchester Arena attacks and it was so inspiring seeing how the people of the United Kingdom, in the face of this horrible horrible stuff that was happening, they held onto each other so tight and put so much good into the world from the smallest thing like making people cups of tea who really needed one to opening their homes to people who didn’t have anywhere to go to literally saving lives. That is probably one of the most emotional songs in the set for me because it’s not at all about me, it’s for the UK. We sing songs in the show that are really really fun and people can forget all of their worries to, we also sing songs that might help people find the words to express themselves, I share a lot in the show and the album is very personal but I figure, if you can handle it and you can give people a way to not feel so alone through your experiences and bring them together rather than feeling isolated, it’s something I really enjoy doing and it might be why I’m still here. That’s raw human emotion and so many people are taught to bottle that up, I think that’s why it sometimes comes out as anger or in different ways. If people are allowed to express themselves in a way that brings people together, it does people a lot of good. The album came out here last week and you’ve already summed up your feelings by the fact that you’re sending pictures of it on the shelves back home but how excited were you to release it? Oh gosh! It’s indescribably wonderful. I feel privileged to get to do what I do. The album took five and a half years to write and there was a minute there where I was thinking ‘jeez, am I taking to long to do this?’ because it was all happening between filming and doing all sorts of other things. Actually, I’m glad it took that long because it gave me time to find my voice and make sure that it was not a character and it was just me. I’m going to let other people decide what kind of album it is but the most important thing to me is that it was true to who I am. It seems to have happened in perfect timing now that the series has wrapped up, you can kickstart your own career. You must have been surrounded by so many talented and experienced people on Nashville, did you learn a lot as a performer from them? Absolutely. I’ve got Colin Linden who is my lead guitarist on this tour, Colin is amazing. It’s the people that I met through the experience of the show, the people of the real Nashville who’ve really inspired me. Buddy Miller is my greatest musical mentor, he’s wonderful, he taught me how to use a microphone! He actually plays on the album, he’s playing the baritone on Tide Rolls In, he came in to listen one day when we were recording and we just happened to be tracking that one, I asked him if he wanted to play and he was like ‘Ohhh nah’ and I was like ‘pleeeeease would you play? !’ so he said ‘ok, I have a guitar in the car’. I don’t know whether he planned it or not but it happened! Dang, he plays great baritone! My husband, Brandon Robert Young, he’s an incredible songwriter and he wrote most of the album with me. It’s nice to have somebody close that you trust and knows you through and through to bounce lyrics off and figure out how to tell the stories. He’s also somebody who subjectively can look at improve my writing. Working with T-Bone Burnett was incredible. He is an absolute legend! It must have brought so much to the project having him around? It absolutely did! You know, he said something to me that I’ve carried with me, we were sitting at his place in Los Angeles and doing some recording and writing, this is really early on when I first embarked on the album journey. He said “you’ve never felt like you belong, have you? You’ve never fitted in?” I was like “no, I haven’t”. It was a really interesting moment, there’s always so much stuff going on but, for a minute, the world sort of stopped. He said “Well, I want you to know that we’ve all felt that way and you need to know that you belong right here with us.” It was the sweetest thing and as a person, an artist and a human being it was a beautiful thing for him to say. I’d never done anything like that before, showing people the music I’d written, I’d always sung in an orchestra and singing with a band behind me was a totally different thing. Writing my own music and being confident enough to say what’s in my heart was not an easy thing to do but he really helped me in that moment and it’s something that I’ve always hung on to. Like I said, there are so many people out there who have been isolated because of their life experience, there are so many people feeling alone and that’s the way I grew up. I don’t know anybody else who had my childhood or my upbringing, that doesn’t make me any better or worse than anybody else but it’s an interesting way to grow up. Maybe it’s an extreme because I think that everybody feels like that, mine was just particularly strange! Thank you! It’s been an interesting ride but that’s part of the reason that I’ve always wanted to create spaces where people can be themselves and celebrate their individuality. I don’t want to focus on Nashville too much because there are so many exciting things to talk about with your tour and record, but what’s the feeling like knowing that you’re not going back to the show? Presumably it helps having your solo career to dive right into? It’s funny you said that! There’s a song we’ll do this evening that was written by Brandon Robert Young and Jake Etheridge and it’s called I Won’t Forget, it’s not on the album but it’s something that the boys wrote and we all sort of pitched in to right at the end of the series. 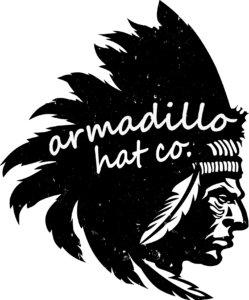 It’s a love letter to our Nashies, it’s a thank you and a promise that the music is only just beginning. I will never forget the experience that I had filming the television show and being Scarlett but I feel so lucky that, really, I got to scoop up all the best parts of the show Nashville and keep them. The city of Nashville is where our house is, it’s where so many of our friends and family are, I found the love of my life in Nashville. I found my voice in Nashville, discovered my voice in Nashville and I discovered so many other people’s wonderful music. It’s a place where I feel like I found my song and that’s something that you never ever let go of and it’s exciting. As an artist you live in the unknown and you can either be terrified by it or excited by it, it’s much more fun being excited so it’s just great be here doing this! Oh yeah, it is! Scarlett and I shared a body and face but it’s almost like taking an old cardigan off and just being me again. I loved playing her but the album is not her, we have totally different life experience and I’m so glad that I don’t have the problems she had! We shared a body and a moral compass, it was a pleasure to play her but, looking at the album cover, I see no trace of her. I actually see me at four years old on that album cover! It’s like ‘oh, there I am’ after being someone else for six years. The album is out now in the UK and Germany, I guess the next exciting step is Australia and the USA? Well, Australia is next. We’re heading over there after this run. It goes by so quickly and I don’t get to see a lot of the places that we visit, I experience them through the people that I meet. Mostly, I’m on my bus, I’m backstage, I’m on stages so it’s very much experiencing these places through the lovely people. I’ve met such lovely people in the UK, they’re so welcoming and beautiful. I have to take it a day at a time on tour, I don’t know how people party and tour at the same time! The show is like running a marathon emotionally and physically but it’s always a hugely positive experience. I’m just trying to enjoy every moment! So you should! Can you see the UK becoming a regular touring spot now? Oh gosh, if you’ll have I’ll come back! It’s so much fun! People last night in Gateshead were asking if we’re coming back, it’s so nice! You can’t take it for granted as a performer that people want to come and see you, it’s their hard earned money and their time that they’re spending just to see you. When people are happy or feel empowered or have these wonderful positive feelings about the experience they’ve had with you, it’s just the greatest gift! 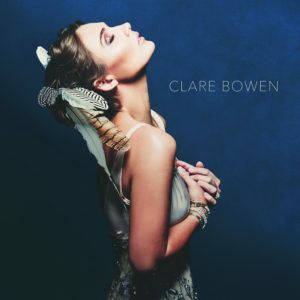 Check out our review of Clare Bowen’s debut album here!